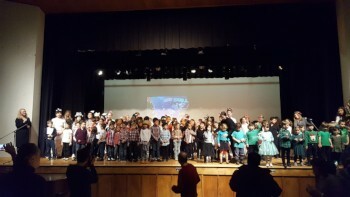 On Friday, December 14th, students in KG to grade 8 performed in the winter concert for their loved ones. Grade 1 sang “Tingalayo” by Raffi. Grade 5 sang “The Dragon” by Bonnie “Prince” Billy. Grade 6 sang “Feeling Good” by Michael Bublé (a Rooster/New Year adaptation). Grade 8 performed a skit through song and dance that explains how and why the animals travelled to wish the emperor of China a happy birthday. Thank you to the following: Ms. Olga for organizing the concert. All homeroom teachers for planning the performances and rehearsing with their students. The dance teacher for choreographing the dances. Ms. Irene and Ms. Tanya for helping with the preparations for the concert. All teachers worked together to ensure that the concert was a success. The grade 8 students for setting up the sound system and microphones. Alina (gr. 11) for operating the curtains. The backstage managers: Alice (gr. 11), Edwin (gr. 7), and Natanel (gr. 7) for ensuring smooth transitions. Mr. Vlad and Mila (gr. 11) for operating the slides. A special thank you to Eva’s (gr. 4) mother, Natalya; Sonya’s (gr. 4) mother, Olga; Alice (gr. 1), Bogdan (gr. 5), and Anton’s (gr. 6) grandmother, Elena; Sophia (gr. 3) and Ayran’s (gr. 4) mother, Leanna and nanny, Melody; Michelle (KG) and Tom’s (gr. 3) mother, Carolina; and Alex Fine and Victor Genin, friends of Prestige School. Students and teachers have one more week to bring non-perishable foods for the food drive. Remember to get your “heart” from Ms. Irene. rice, oatmeal, canned fruit, canned vegetables, peanut butter, pasta, pasta sauce, baby food, baby formula, canned soup, canned stew, chili, etc., canned fish, canned and dried beans, and 100% fruit juices. Thank you to everyone that has donated. Let’s help families in need have food for the holidays. On Tuesday, December 11th (U16) and Wednesday, December 12th (U20) the high school basketball teams participated in all-day basketball tournaments at HoopDome. 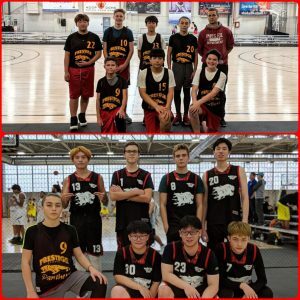 Students played well and gave it their all. At the U16 tournament, Edwin (gr. 7) scored 3 three pointers! At the U20 tournament, the Panthers won a game and Shannon (gr. 12) stole twice in the final game. Thank you, Mr. Quick and Mr. Briggs, for accompanying students to the tournaments. Way to go Panthers! Thank you to Vincent (gr. 12) for donating new Prestige Panther basketball jerseys. The U20 team looks great! 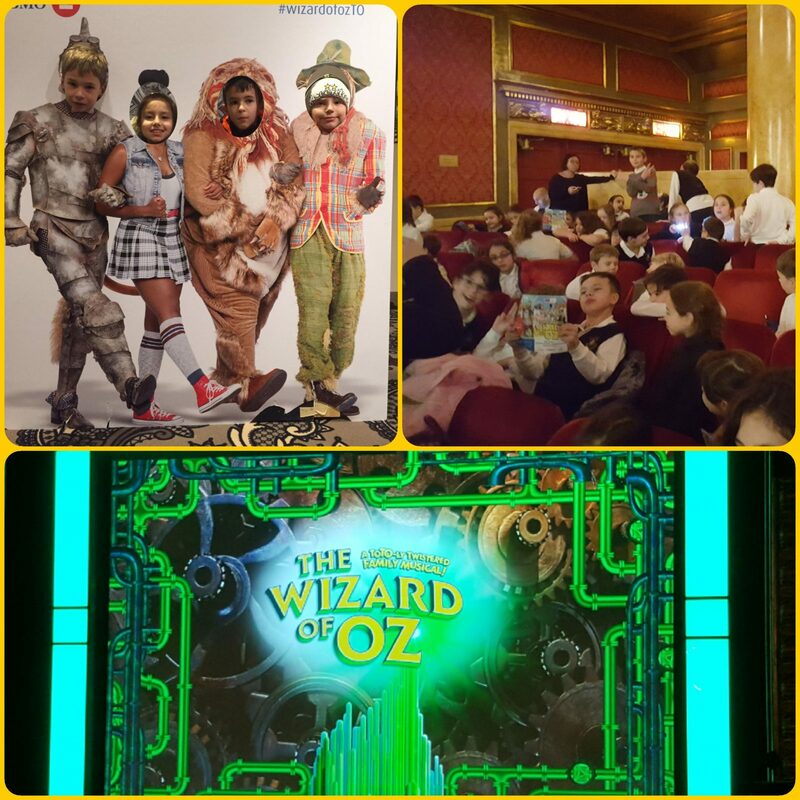 On Thursday, December 13th, students in grades 3 to 7 went to the Elgin Theatre to watch “The Wizard of Oz”. Students enjoyed the performance, songs, and laughs. 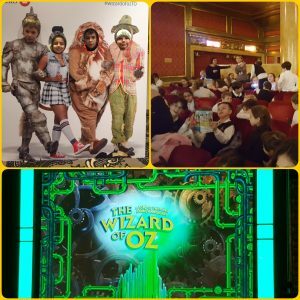 They had a great theatre experience! Friday, December 21st, is causal day and pizza lunch. 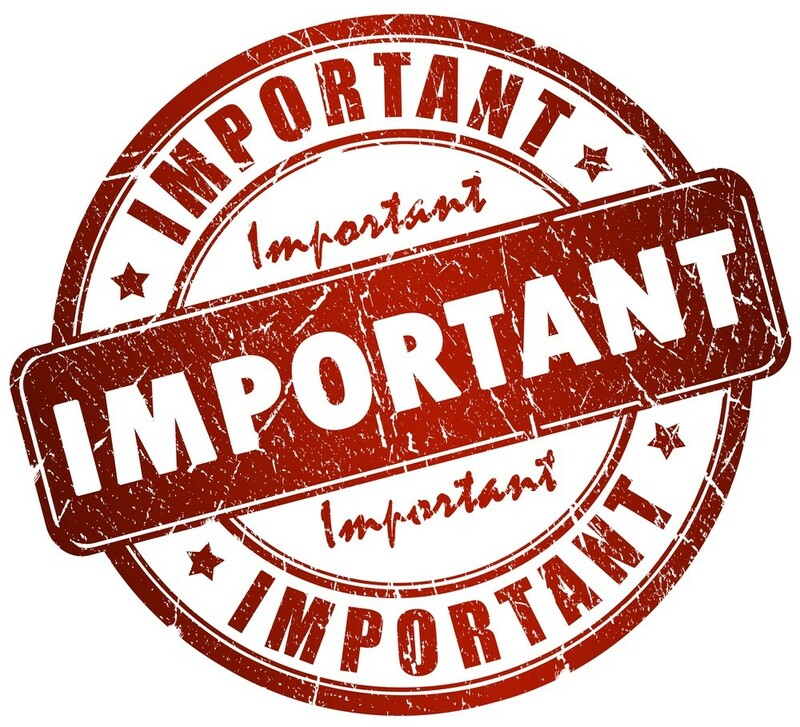 The school will also close at 2 p.m.
High school students will have a regular school day, except for fourth period. Elementary students will be with their homeroom teachers all day. 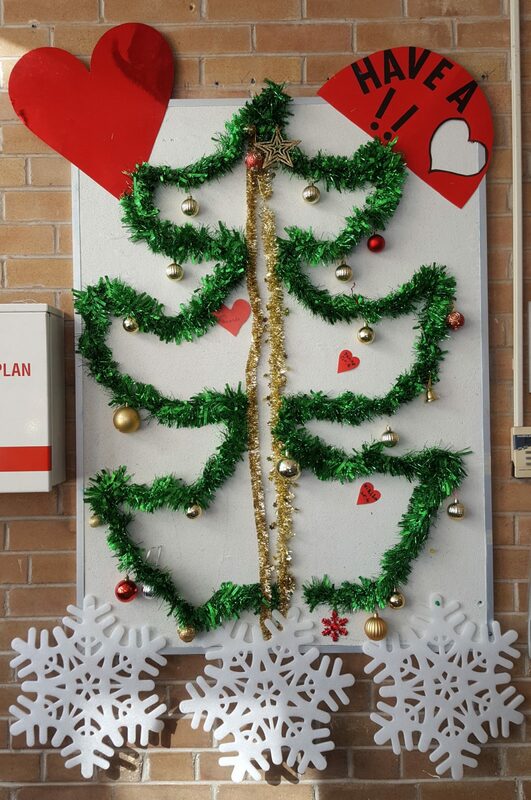 Homeroom teachers have planned a day of educational holiday fun. Check with your homeroom teacher if you need to bring anything.